How to Wear Emerald — Anna Akbari, Ph.D.
Not sure how to incorporate emerald, the color of 2013, into your wardrobe? Scared you’ll look like something out of Oz? Stick with these more subtle hints of green. As a nail polish: The name of this rich, even polish by OPI says it all: Jade is the New Black. It’s been referred to as “the perfect green nail polish” by beauty enthusiasts – and with good reason. The jewel tone is appropriate for a winter palette, and the formula is glossy and thick enough that you won’t need a top coat. 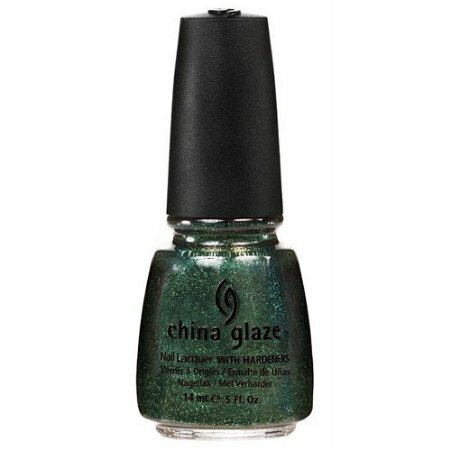 If you can’t make the jump to full-on green, try this China Glaze microglitter option overlaid over a paler hue. 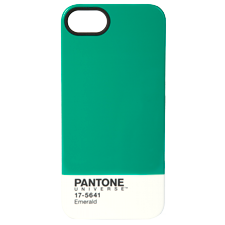 As a chic, minimalist iPhone case, released by Pantone themselves. In a statement necklace: This style of linked pearl necklaces has been popular lately, mostly because they’re so versatile. 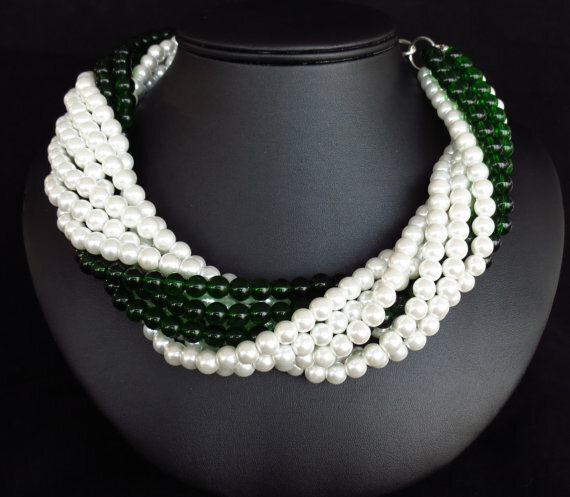 You can wear them in this attractive chunky twist, or in a more traditionally draped style. We love the way this Etsy shop has tastefully added a strand of emerald into the mix. 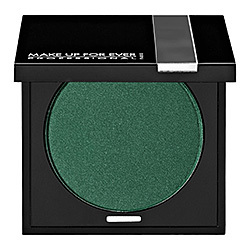 In your makeup palette: Emerald is a great color for makeup because it’s unexpected and adds depth and pop, but is rich enough in shade that it remains mature and subtle. This satiny color would look great accenting your usual shimmered browns just at the outer corner or applied as a gentle cut crease. This Makeup For Ever formula is semi-matte, so the texture has enough iridescence that you can easily blend it down for just a hint of pigmentation. On your lapel: This beautiful vintage art deco brooch adds a bit of emerald sparkle and classic sophistication. Bonus: string a chain through it and wear it as a striking vertical necklace.